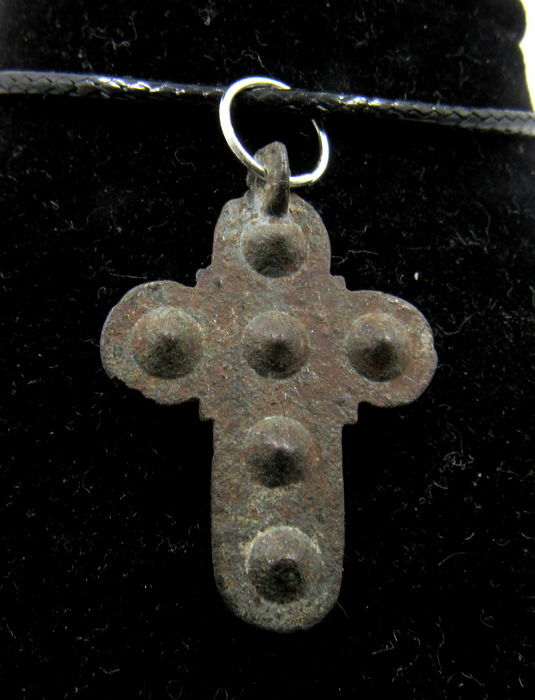 Description: A Wearable Late Medieval Tudor cross with stones inset. 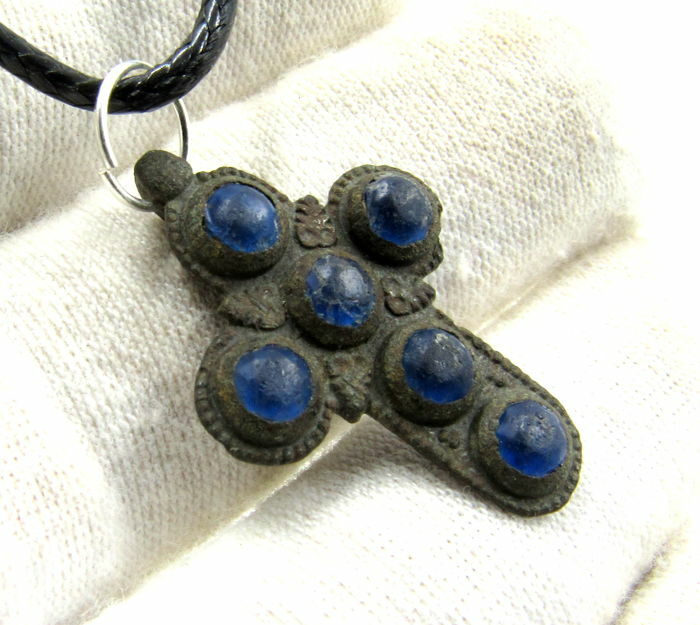 Lovely piece of Medieval jewellery. 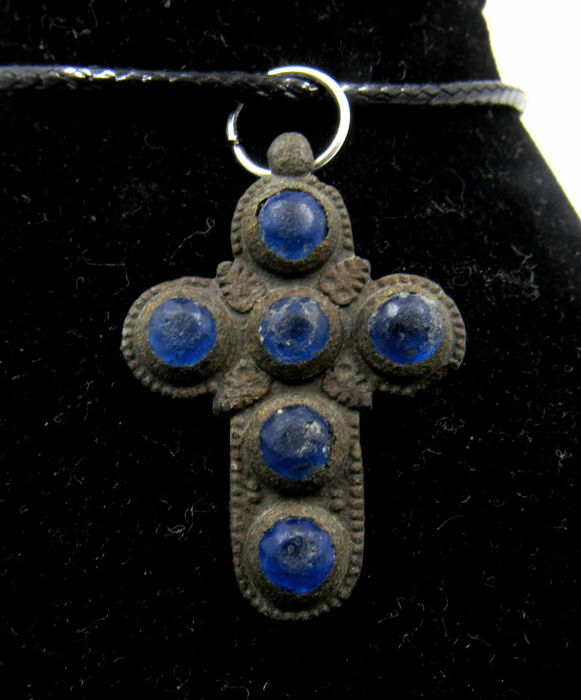 This item has been professionally cleaned to show original details, and includes a Certificate of Authenticity. From an old Austrian collection, acquired before 2000.